Perhaps you’ve been working on a project at your craft table and aimlessly moving around elements trying to find just the right position. Sometimes there’s that magical A-HA moment when it all falls into place. It’s likely that you struck upon one of the design rules without even knowing it! This week we're going to learn a little bit about designing with the Rule of Thirds. The Rule of Thirds is the division of your card into nine equal parts by two equally-spaced horizontal lines and two equally-spaced vertical lines. This type of design leads to an overall visual that is pleasing to the eye. Today's video will give you insight into how to understand and use this design rule. Kimberly shares visuals that will help you to achieve a sense of balance in your design. Once you know the rule, you'll be amazed how well your designs fall into place! Watch the video below or click HERE to watch it on YouTube. Don't forget to subscribe to our YouTube channel so that you don't miss a single tutorial! Who knew that there was so much math involved in designing, right? The fact of the matter is that the Rule of Thirds just works. Let's take a look at a few examples of other creative ways to incorporate the rule of thirds in your designs. 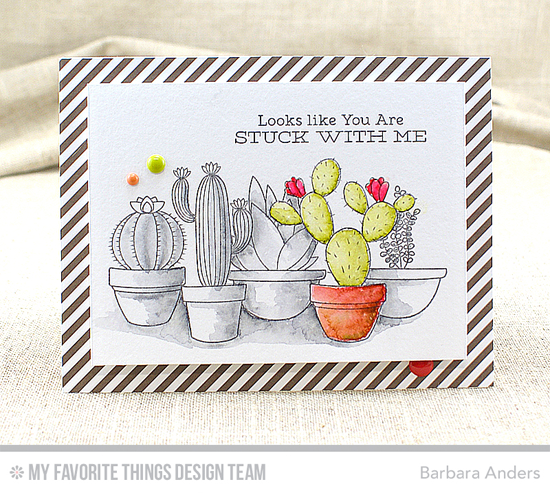 Barbara's focal point cactus from the Sweet Succulents stamp set hits one of the vertical lines of the rule of thirds. You can see that the rest of her design all leads your eye right there. Brilliant! Donna's cluster of die cut buttons from three of our handy Blueprints Die-namics fall on the vertical line on the top third of her card. It's a super striking way to focus the eye and the sentiment beneath it caps off a wonderful design. 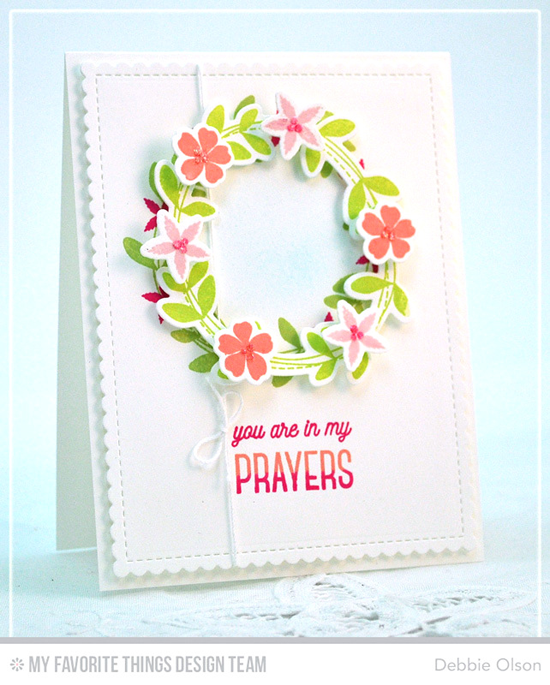 Kimberly masters the rule of thirds with this gorgeous design. 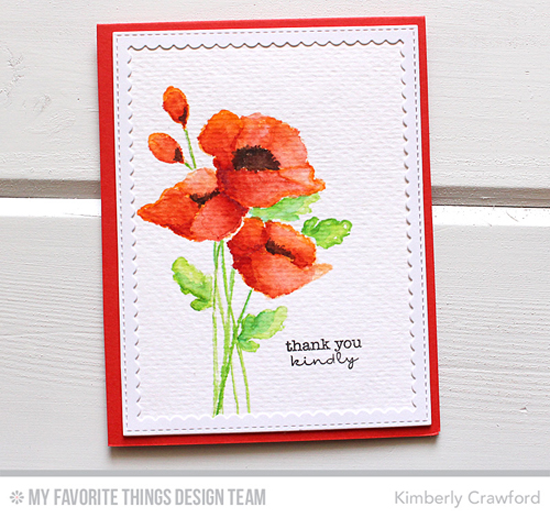 The lovely bouquet of poppies from the Delicate Pretty Poppies stamp set hits the third line on the left hitting one of the intersections she mentioned in the video, and the sentiment is on one of the lines as well. Now it's your turn to create a card using this design rule. You'll be pleased with the results! 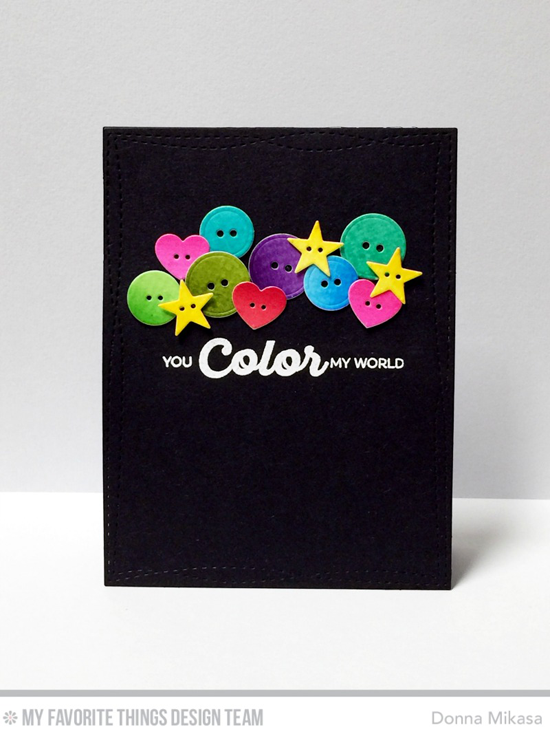 Be sure to tag #mftstamps when you post your projects online. We can't wait to see what you've made!